One of the most unique and sought-after chamber ensembles on the concert stage today, the Carpe Diem String Quartet (Charles Wetherbee, Marisa Ishikawa, Korine Fujiwara & Gregory Sauer) is a boundary-breaking ensemble that has earned widespread critical acclaim. Carpe Diem defies easy classification with programming that includes classical, Gypsy, tango, folk, pop, rock, and jazz-inspired music. The quartet appears on traditional concert series (Carnegie Hall, New York NY; Jordan Hall, Boston MA; National Gallery of Art, Washington DC; Chautauqua Institute, Chautauqua NY; Asolo Theater, Sarasota FL, Accademia Chigiana,Siena Italy, Suntory Hall, Tokyo Japan) as well as unconventional venues (Poisson Rouge, NYC; Bach Dancing and Dynamite Society, Half-Moon Bay, CA; The Redlands Bowl, Redlands, CA; The Mug & Brush, Columbus, OH). Carpe Diem has been awarded five transformative grants from the PNC Foundation for their community outreach in Central Ohio. Violinist Charles Wetherbee has performed throughout the world, including Europe, Asia, the Middle East, Canada, Mexico, and the United States. He has appeared at the Aspen Music Festival, the Garth Newell Center, the Hidden Valley Festival (CA), the Roycroft Chamber Festival (NY), the Nouvelle Academie International d’Été (Nice, France), the Olympic Music Festival (WA), the MidAmerica Music Festival (OH), and Strings in the Mountains (CO). He has performed in the French, German, Austrian, and Dutch embassies, the Terrace Theater of the Kennedy Center, the National Gallery, the Corcoran Gallery, the Freer Gallery, Strathmore Hall, Jordan Hall and many other important venues. A native of Buffalo, New York, Charles gave his first performances at age six. He made his debut with the Buffalo Philharmonic Orchestra under Symon Bychkov, and since then has performed with the National Symphony under Mstislav Rostropovitch, as well as the Japan Philharmonic, the Concerto Soloists of Philadelphia, the Philharmonic Orchestra of Bogota (Columbia), the National Repertory Orchestra, the Orchestra Nacional de Mexico, the Symphony Orchestra of the Curtis Institute, the Buffalo Philharmonic, and the Virginia Symphony, among others. A devoted chamber musician, Charles is the first violinist of the Carpe Diem String Quartet, with whom he tours and performs regularly. He is also the Artistic Director of the Dercum Center for Arts and Humanities, Keystone, Colorado. 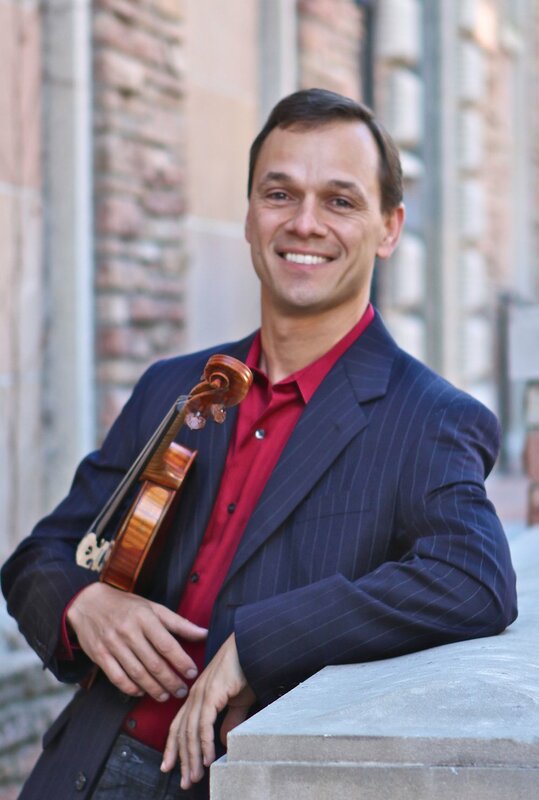 Charles is an assistant professor of violin at the College of Music—University of Colorado at Boulder. Marisa Ishikawa is currently a Teaching Assistant at the University of Colorado Boulder. Marisa was born in Boulder, Colorado and began playing the violin at the age of three. Between 2011 and 2015, Marisa earned at CU Boulder a Bachelor of Music with Highest Honors. Additionally, she received a Bachelor of Science: Accounting with High Distinction from CU Leeds School of Business. During this time, Marisa won various awards, including the Don and Maria Johnson Music Scholarship and the PricewaterhouseCoopers Accounting Scholarship. From 2015 to 2017, Marisa studied with Brian Lewis at the University of Texas Austin, where she received the Starling Distinguished Violinist Scholarship and earned a Master in Music degree. Throughout her education, Marisa has worked with numerous artists, such as Alexander Kerr, Rachel Barton Pine, Glenn Dicterow, Naoko Tanaka, Ani Kavafian, Peter Otto, and Stephen Rose. 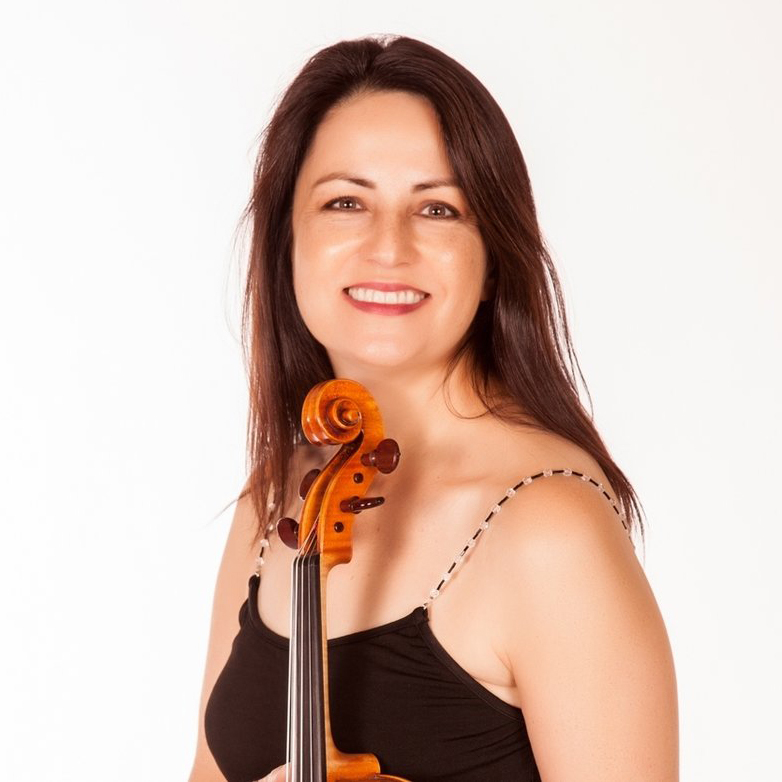 As a chamber musician, Marisa has studied with the Takács String Quartet and the Miró String Quartet. Marisa has soloed with the Greater Boulder Youth Orchestra, the Austin Civic Orchestra, and the National Repertory Orchestra, and has participated in the Aspen Music Festival and the National Repertory Orchestra. In August 2018, Marisa performed at the International Double Reed Society in Granada, Spain. In January 2019 she joined the Carpe Diem String Quartet, and has since performed with the quartet in Carnegie Hall, Kerrytown Concert Hall in Ann Arbor, and the Columbus Museum of Art. Marisa is also co-founder of the classical chamber music festival Austin Camerata, whose mission is to enrich the city of Austin by encouraging interest in classical chamber music amongst a variety of audiences. Its vision is to collaborate with other media such as dance, storytelling, and visual art, in order to connect with new audiences and to create a platform for artistic innovation. Korine Fujiwara is a founding member of Carpe Diem String Quartet. Critics have described her performances as “engaging” and “with finesse and perfection.” Festivals include: Olympic Music Festival, Marble Cliff Chamber Players, Snake River Chamber Players, MidAmerica Chamber Music Festival, Victoria International Festival, Aspen Music Festival, Focus! Festival of 20th Century Music at Lincoln Center, and Summergarden Festival at the Museum of Modern Art in New York City. Orchestras include: Brooklyn Philharmonic, ProMusica Chamber Orchestra, and the Columbus Symphony, where she held the position of acting assistant principal second violin. A violinist and violist, Fujiwara holds degrees from Juilliard and Northwestern University, studied with Joseph Fuchs, Myron Kartman, Harvey Shapiro, Robert Mann, and Joel Krosnik, was a longtime faculty member of Ohio Wesleyan University, and is in great demand for master classes and clinics. Korine performs on a 1790 Contreras violin, a 2004 viola by Kurt Widenhouse, and bows by three of today’s finest makers, Paul Martin Siefried, Ole Kanestrom and Charles Espey, all of Port Townsend, WA, USA. Jeff grew up where bluegrass and traditional string band music thrived. Given his first mandolin at the age of 7 by a neighbor (Sherman Poff, to whose memory Partners In Time is dedicated), he moved quickly into the world of fiddlers’ conventions and contests, winning his first mandolin competition before reaching his teens. As he grew older, he added the fiddle to his instrumental arsenal and joined the New Grass Revue—yet at the same time, he took up the clarinet and began to perform with his high school’s symphonic band. Even as he was immersing himself in the classical repertoire, he continued to gain attention as a mandolin and fiddle player. By the time he graduated he had his sights firmly set on a musical career, and in 1981 Midkiff began studies at Virginia Tech, eventually earning a degree in music education and performance. Yet even as he was immersing himself in the classical repertoire, he continued to gain attention as a mandolin and fiddle player with the McPeak Brothers, a widely respected bluegrass group with whom he made his first serious recording in 1982 (five selections from that album are included on Rebel Records’ McPeak Brothers: Classic Bluegrass CD). In 1983 he joined the Lonesome River Band, which would eventually become one of bluegrass’s most acclaimed groups. For the next five years, as he completed his education and started working as a music instructor, he performed with the LRB, recording two albums with the group, including its self-titled Rebel Records debut in 1987. Shortly after that, he enrolled in graduate school at Northern Illinois University, earning his Master’s degree in clarinet at the end of the decade—but though the move meant leaving the LRB, he continued to perform with an Illinois bluegrass band, Bluegrass Express. 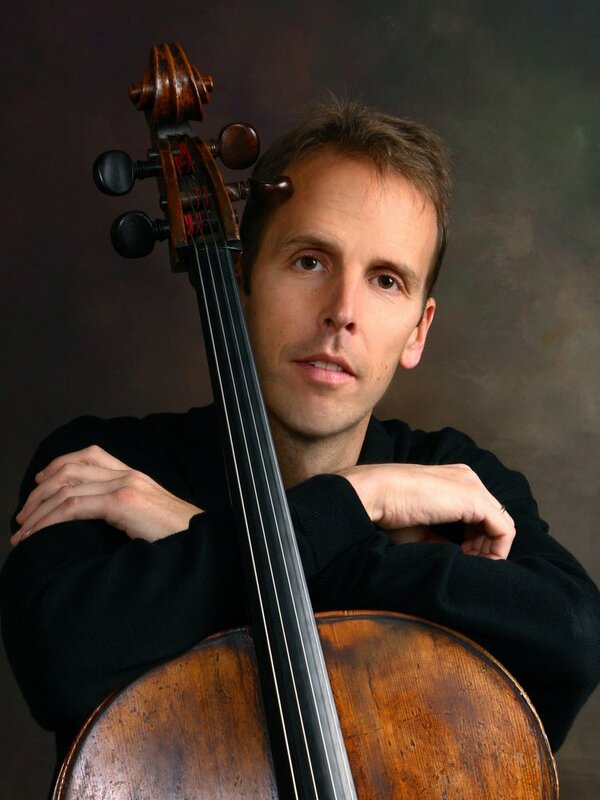 During the early part of the 1990s, Jeff lived in Florida and performed clarinet with the Naples Philharmonic and later moved to northern Virginia area to be an orchestra director in the Fairfax County schools. “I went a good five years without opening my mandolin case,” he notes, “and as a full-time teacher in northern Virginia, I wasn’t playing much clarinet, either.” An appearance with the Annapolis Chamber Orchestra at Carnegie Hall reawakened his passion for the latter, and in 1995 he moved to the Chicago area to revive his performance career — on the clarinet only, he thought, but ultimately on the mandolin and fiddle, too. Busy as a clarinetist with area ensembles and as a youth orchestra conductor and educator, he was drafted in 1998 by The Schankman Twins, a California-based bluegrass duo now signed to Rounder Records. “All of the sudden I was getting these ideas for tunes, and as soon as I started getting creative, I thought, I need to start recording.”He was writing a lot, too. “All of the sudden I was getting these ideas for tunes, and as soon as I started getting creative, I thought, I need to start recording.” He has appeared (several times) with the Milwaukee Symphony Orchestra on mandolin, and likewise in the Roanoke Symphony Orchestra's clarinet section since 1980. In 2006, Jeff moved back to his hometown of Roanoke, Virginia. Jeff is an orchestra director in the Roanoke City Schools. Jeff Midkiff's concerto for mandolin and orchestra, “From the Blue Ridge,” was composed in 2011 in a commission from Music Director David Stewart Wiley and the Roanoke Symphony Orchestra. The first performance was opening night of the Roanoke Symphony Orchestra's Fall 2011 season, and the Concerto has subsequently been performed with the Rochester Philharmonic, Champaign-Urbana Symphony, Shreveport Symphony, Williamsburg Symphonia, Symphony of Southeast Texas, Northwest Florida Symphony, Jacksonville Symphony, Ohio Northern Symphony, Knoxville Symphony, South Arkansas Symphony, Cal Poly Symphony and the Yale Concert Band.